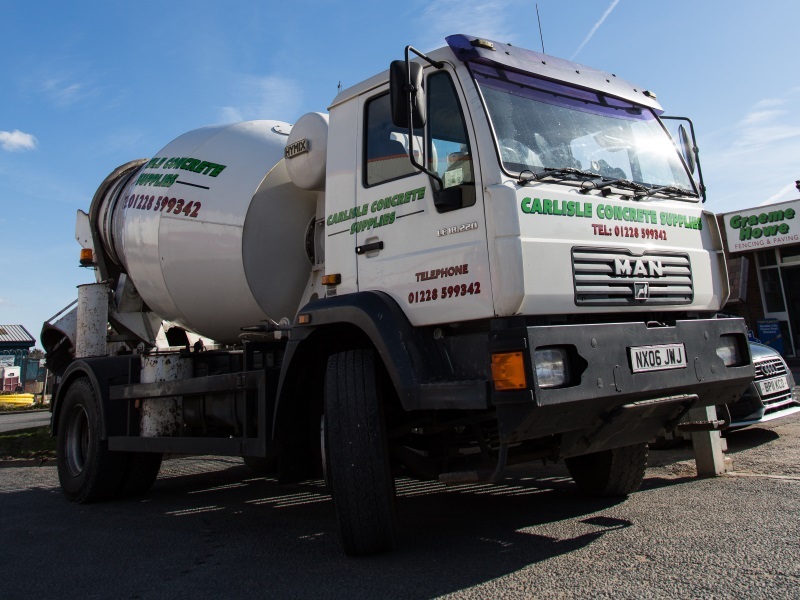 Carlisle Concrete Supplies supply ready mixed concrete to the trade and DIY and is available 6 days a week. Out of hours service is available for special projects. We offer a fast and friendly collection or delivery service with same day delivery if required - any amount from a shovelful to a truck full with competitive rates. Deliveries can be made using one of our fleet of trucks in either 4m³ or 6m³ drums or tippers as required. A wheelbarrow service is also available if required, just ask!